We numerically investigate the effect of the dipole orientation on the light emission characteristics of a three-dimensional top-emitting organic light-emitting diode (TOLED) with square pixel boundary, based on the finite element method. The spatial profiles of the optical power flows and the output angular emission characteristics are calculated in various horizontal positions of a single dipole with the x-, y-and z-directed dipole orientations. The total angular emission characteristics of the TOLED are obtained by summing the individual angular emission characteristics of 100 dipole emitters, which are assumed to be uniformly distributed within the square pixel boundary. The angular emission pattern of the y-directed dipole emitters exhibits an approximately 10% higher intensity with a narrower linewidth than that of the x-directed dipole emitters. This difference in the angular emission patterns of the x- and y-directed dipole orientations can be attributed to the dipole orientation dependent internal radiation pattern, which has different spectral power densities as a function of the internal emission angle and light polarization. In addition, the average angular emission characteristics of the randomly oriented dipole emitter are calculated by averaging over those of the x- and y- directed dipole emitters. 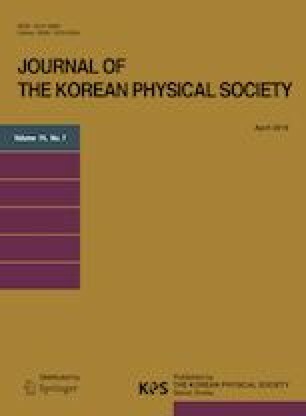 This research was supported by the Basic Science Research Program (2018R1D1A1B07047249) through the National Research Foundation of Korea (NRF) funded by the Ministry of Education. KK acknowledges the support by the BK21 program of School of Electrical and Electronic Engineering of Yonsei University.